Good things come to vegans who wait – Guinness is now officially made without using fish guts in the filtration process, and is suitable for vegans in draft, bottle and can form. In 2015, Guinness announced they would be implementing a new filtration system to eliminate the need to filter the drink with isinglass (fish bladders), a product made from fish bladders that helps to remove extra yeast from the stout, in order to make the stout suitable for vegans. Stephen Kilcullen, master brewer and head of quality for Guinness, said that the stout would have been vegan a decade ago but the technology did not exist to filter out the yeast without isinglass. “Everything we tried lost that ruby red colour you see in the bottom of the glass which shows it’s clear. We wouldn’t compromise on quality so we had to wait for the technology,” he said. 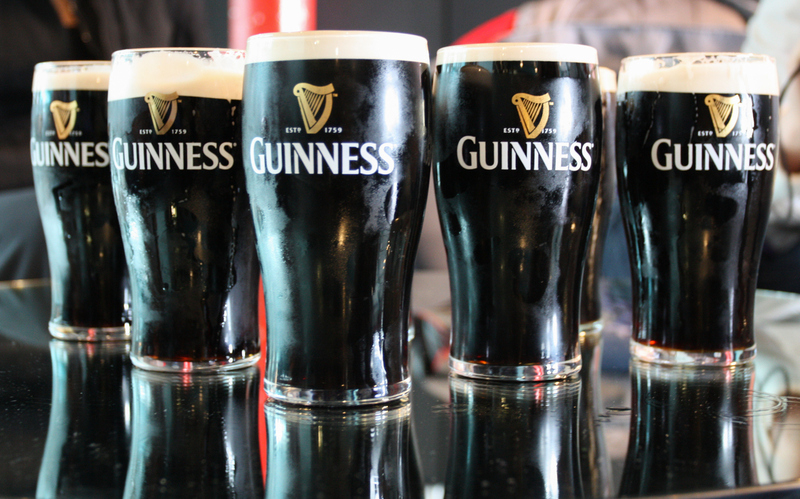 In April 2016, Diageo, the company which manufactures the stout, confirmed that all kegs of Guinness on the market are vegan-friendly as they had been made using a new process which does not use isinglass. However, whilst the kegs of Guinness were suitable for vegans, bottles and cans were still not vegan-friendly thanks to the fact the the manufacturer couldn’t guarantee that old stock of the drink had been filtered using the new process. So we’re delighted to hear today that it’s official – all Guinness worldwide is now isinglass-free and is suitable for vegans. Bottoms up! If you’re worried that the new filtration process might have affected the taste of your favourite tipple well worry not because a spokesperson for Diego has stated that you’ll still be able to enjoy the same great taste. “The recipe for Guinness has not changed and the taste has not changed. It is still the same great pint of Guinness it has always been,” the spokesman said.